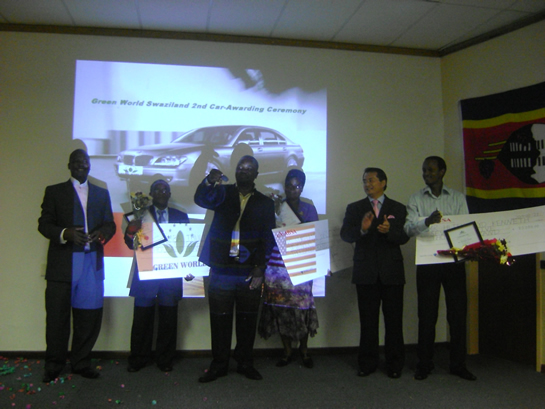 On 27th February 2010, a sunny day, Green World Swaziland held its annual awarding ceremony in Manzini. 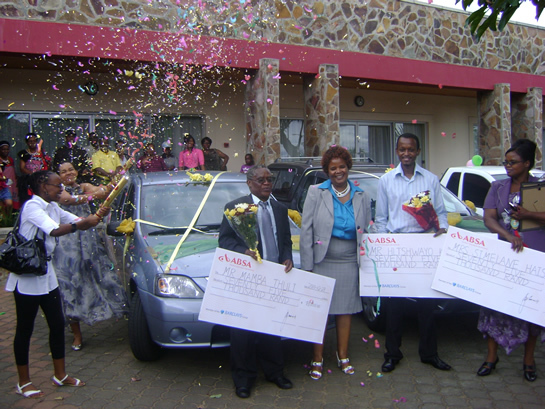 This is another car awarding conference following the one held on 28 February 2009. In this conference, totally three distributors obtained honorable business car awards, six distributors obtained International Free Trip awards and twenty distributors got DVD players and other awards. 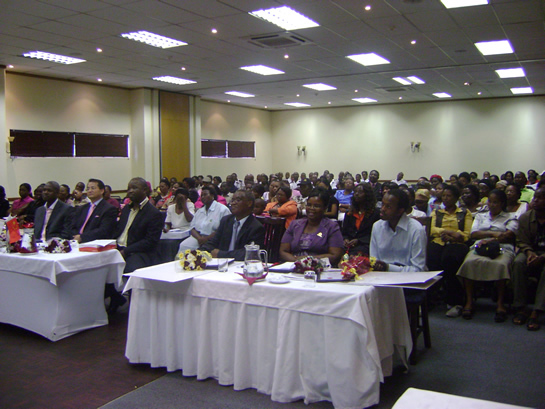 This conference attracted many local media and onlookers. All seats in the conference hall which can hold 300 people are occupied. 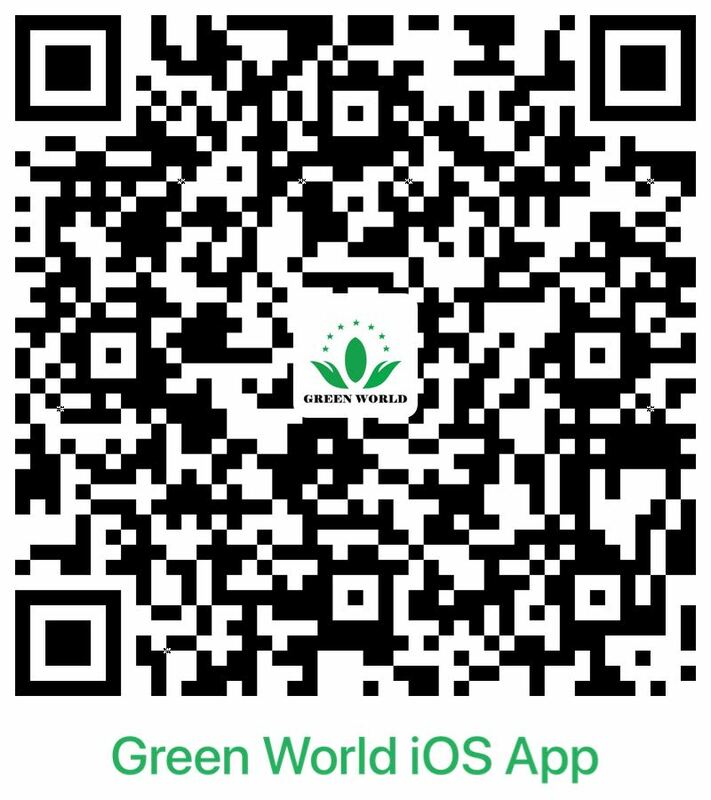 What deserves to mention is that the mayor of Manzini, Mr. Owen Nxumalo, attended the conference at the invitation of Mr. David Zhang, president of Green World Africa. Prince Mr. Lonkhokhela also dispatched his envoy to pay his congratulations. At 10 o¡¯clock, with city traffic police vehicles and honor guard of national police clearing the way, three Green World business cars drove around the city center for one circle and finally drove towards the conference center of Tum¡¯s George Hotel. In the exciting drum beats and music, the dancing and singing people attending the conference ignited the holy flame of the grand car awarding ceremony. Mrs. Hlatshwayo Olga, senior network leader in Swaziland, delivered a welcome speech, in which she, on behalf of distributors in the whole team, welcomed Mr. David Zhang and the mayor and showed that it was a pity the Prince couldn¡¯t come in person. Next, Mr. David Zhang gave a keynote speech. He thanked the hospitality of Swaziland people and distributors, affirmed the huge contributions they made last year, shared Green World¡¯s great progresses they made in the overall African continent and at last encouraged them to continue to create new glorious achievements. The mayor, Mr. Owen, spoke highly of the speech of Mr. David Zhang. First of all, he confirmed that Green World brought health and wealth to Swaziland people and injected economic development power to Manzini. 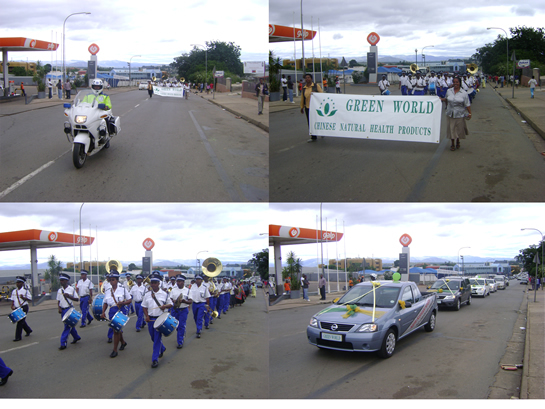 Then he praised Green World for making contributions to the friendship between China and Swaziland people. 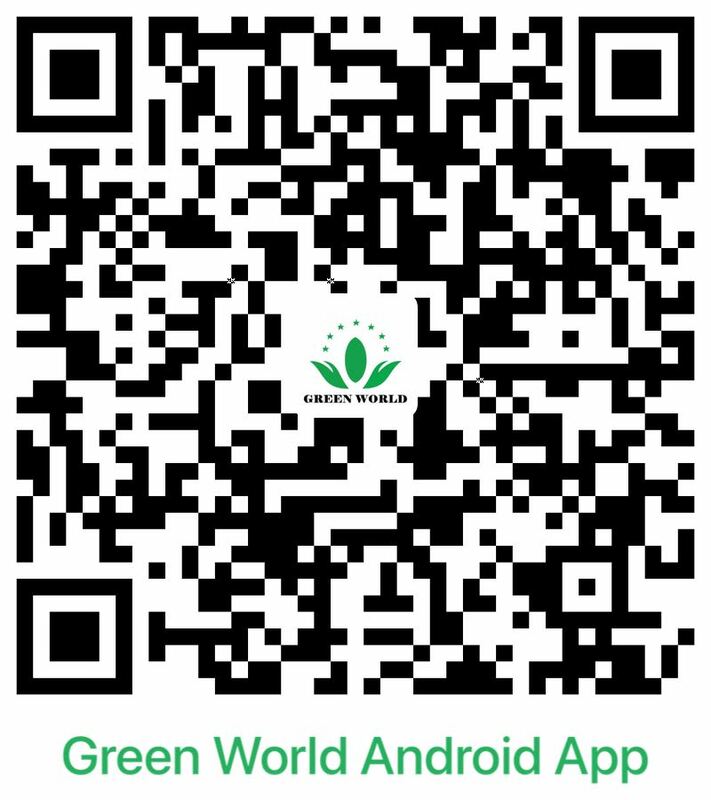 Finally, he told every person on the spot that he was willing to convey Green World health and wealth concept to all the governmental officials and the masses so that they can share success together. 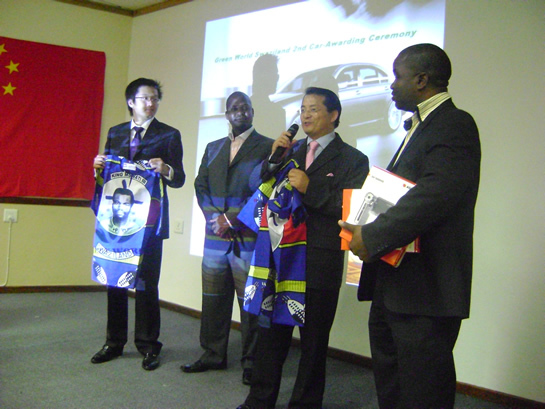 The envoy of Prince Lonkhokhela was ordered to bring traditional Swaziland dresses in which the head portraits of Swaziland King Mswati III were printed to president Mr. David Zhang and to Mr. Jony Yu, manager of Green World South Africa, to express his friendship towards Green World. Mr. David Zhang also gave elaborately prepared gifts to the mayor and the Prince. As trip awards and business car awards were presented, the conference reached its summit. People who got International Free Trip awards held high the honorable certificates and blue jade Chinese knots which symbolized peace and good fortune, exclaiming ¡°I love China; I love Green World¡±; people who got business cars held their cheques high, delivered their acceptance speeches in succession and encouraged audiences that they would won more and faster business cars in future.